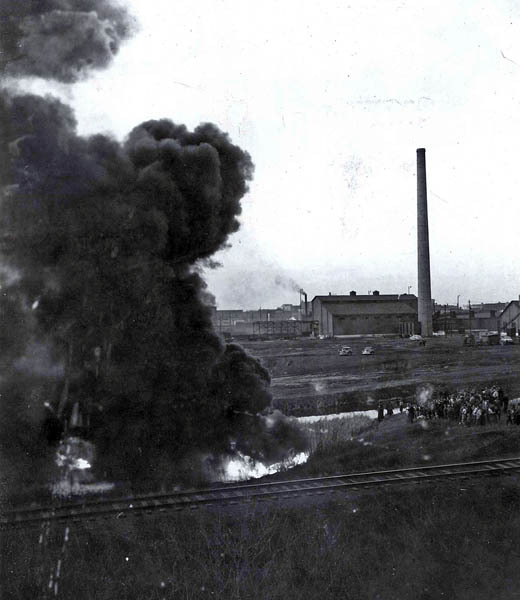 Oil fire along Thunder Creek, Moose Jaw, about 1955. Shows C.P.R. chimney.